You are here: Home » Garden Fresh Produce » Dandelions Benefit Pollinators and People! Dandelions Benefit Pollinators and People! It’s Dandelion Season! Dandelions benefit our pollinators in early spring. …And those bright sunny weeds benefit our health. Read on for more information on the power of dandelion health benefits! 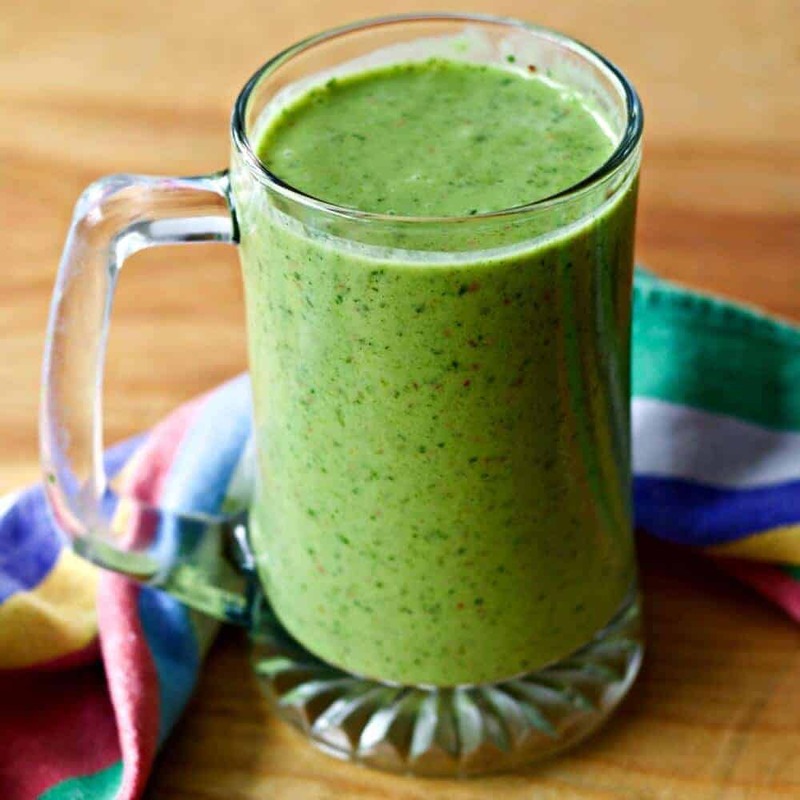 Enjoy fresh dandelion greens in this delicious Spring Green Smoothie recipe. It’s delicious and healthy and makes a great breakfast. Dandelions Benefit us and pollinators. Kids love them! Spring has sprung and our fields are full of fresh young dandelions. Time to go on a hunt for their tender leaves and add them in with our nettles, kale and other yums that go into our healthy green juices! Dandelions made some favorite memories during my childhood. Picking dandelions and putting them under every chin I could get close to was a favorite pastime. To see who ‘liked butter’. A Yellow chin meant a butter lover. I knew a lot of butter lovers! Blowing dandelion puffs was crazy good fun. My friends and I Brought home big bunches of lovely yellow dandelions flowers to our moms. Those pretty flowers turned almost instantly from bright healthy and pretty; to sadly limp, stinking, sticky and wilted ugly masses. We were so bewildered. Mom never liked dandelions. I figured out why when I was the mom. Dandelions make nasty bouquets. No matter where you live, dandelions come up in every nook and cranny (at least in our part of the world). I have tried various methods of dandelion eradication over the years. Some organic and some not! 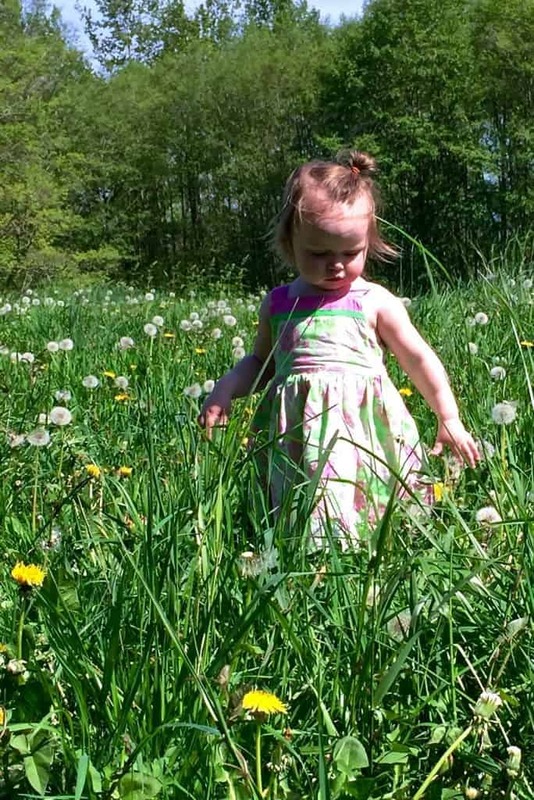 I learned that Spraying dandelion weeds with herbicides is very dangerous for our kids, pets, pollinators and us. 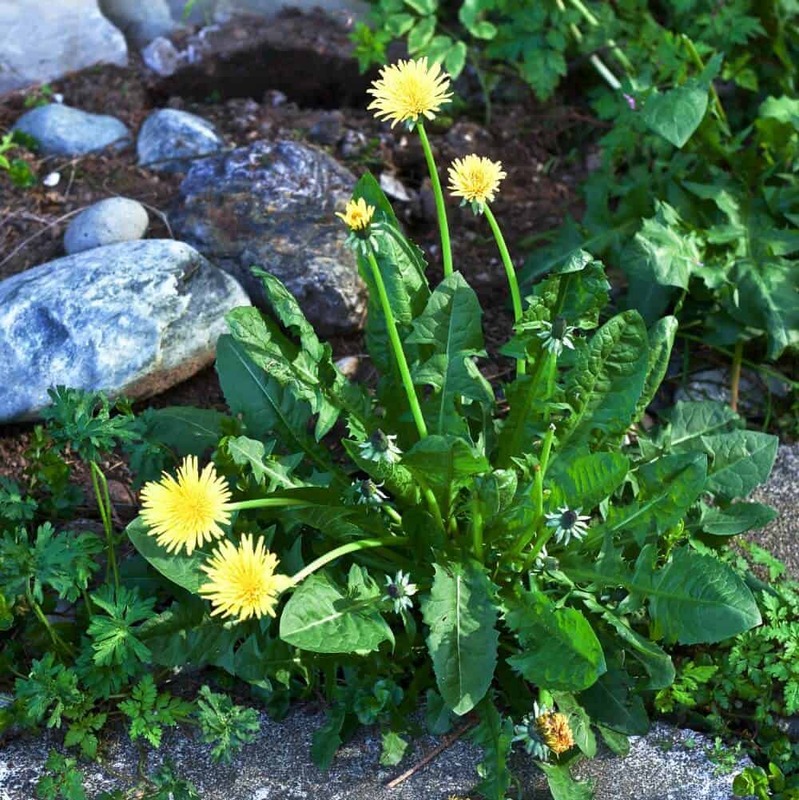 My methods of organic dandelion eradication include organic vinegar sprays, burning them with a high heat weed burner and mowing them down in my lawn regularly and constantly weeding them out of my flower beds and garden. Nothing ever works! Dandelions have AMAZINGLY LONG ROOTS! Wow they go down a long ways. And those puffy seed heads? Yeah. Like the best re-seeder on Earth! Dandelions always come back! If we ever have an Apocalypse? Look for dandelions. They will be there. Eat them to survive. Dandelions are so full of healthy nutrients, even glowing with radiation…yeah, (well, better than nothing! ) Dandelions are good! Embrace them! Fortunately, dandelions can outgrow anything we do, in our ignorance, to kill them off! I say that because allowing dandelions to flower and reseed,(and what choice do we have? They are so good at it! ), benefits pollinators, birds and us! Pollinators depend on dandelions in the early spring to keep them going until the later flowers bloom. I wrote a piece on Why We Organic Garden that discusses pollinators importance and their precarious status in our world. You probably know by now some of the pollinators are on the endangered species list. This is getting very serious. Wild populations of pollinators are the hardest hit and least protected. And among the BEST pollinators. For instance Mason bees are much better at pollinating that commercial bees. The rusty Mason bee just went on the endangered species list and several others are threatened. They need our help. Dandelions are a great bridge plant for pollinators to survive on until other flowers come out. Need some tips on encouraging Pollinators in your garden? 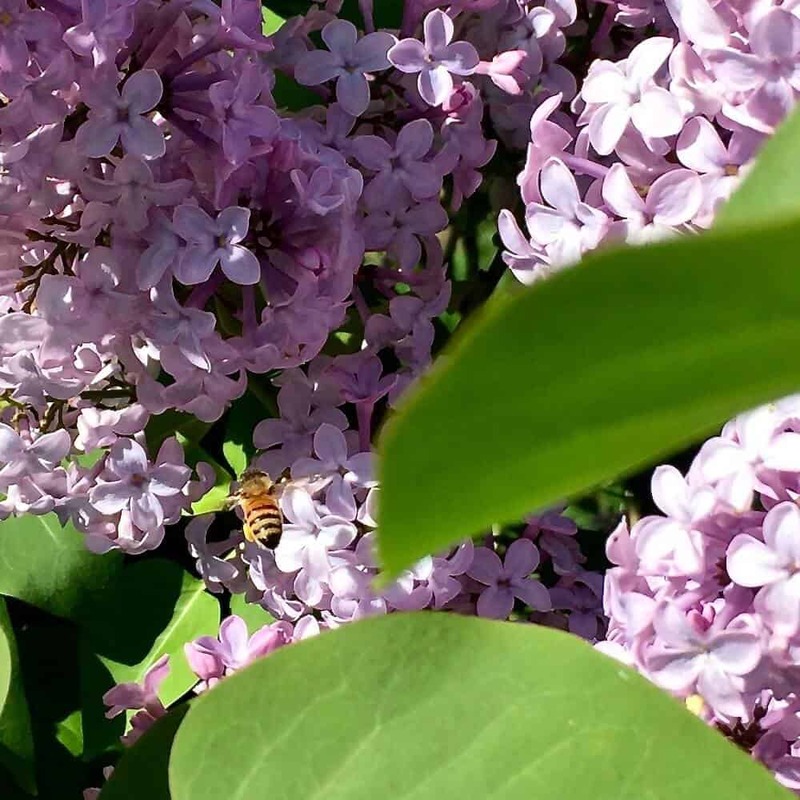 Read our post on pollinator gardening success We need to be educated on these important issues. Our food chain depends on pollinators. They need dandelions! Pollinator at work. This Honey bee has huge pollen sacs on his legs (he’s working hard for the hive, and us!). Pollinators need the early spring flowers! We don’t think of dandelions often as food. (Unless you make dandelion wine.) However, these leafy greens are excellent for us and you may find them in your local food co op. Ours carries these healthy leaves. Make smoothies and salads with the young tender leaves. They are best before they go to seed. 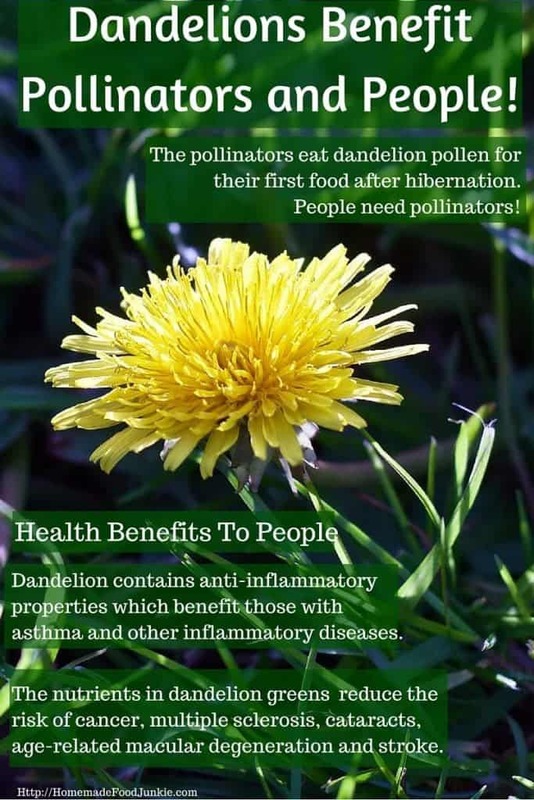 Dandelions Benefit Human Health in BIG Ways! Here is a Summary of the health benefits of dandelions in infographic form for a quick skim. A more detailed list follows for you. High in Calcium: Just one cup of chopped dandelion greens has 103 milligrams (10% of the recommended daily value) of calcium! Rich in Iron: One cup of dandelion greens contains 1.7 milligrams of iron. Low Calories: One cup of chopped dandelion greens has only 25 calories. Loaded With Antioxidants: Dandelion greens are high in vitamin A in the form of antioxidant carotenoid (beta-carotene) and vitamin C.
Detox & Cleansing Green: Dandelions help cleanse the liver. Loaded with Minerals: Along with Calcium and Iron, they also are a good source of copper, manganese, phosphorus, potassium and magnesium. 14% Protein: Dandelion greens have 14% complete protein. They contain all essential amino acids. 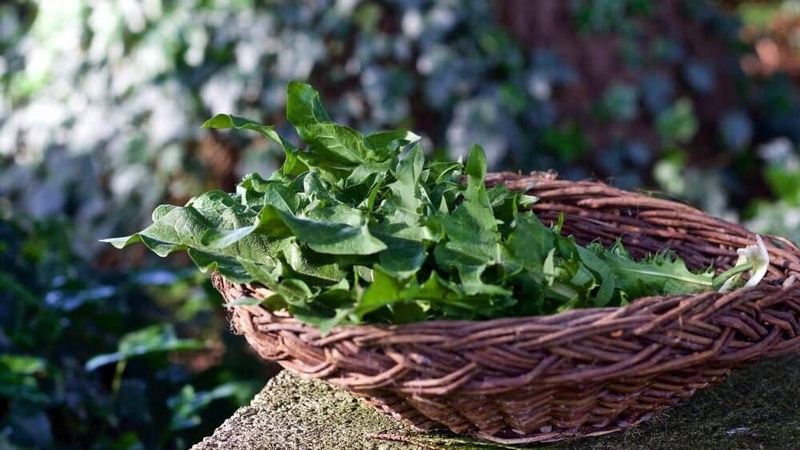 Multivitamin Green: Besides vitamin A as beta-carotene and vitamin C, each cup of chopped dandelion greens are also good sources of vitamins B1, B2 and B6, vitamin E and especially abundant in vitamin K .
Organic dandelions are worth the effort of foraging. You may also find them at the local food co-op or farmers market. This is sometimes the easiest way to get them. BUT Picked fresh from an organic source and immediately used is the ultimate nutrition payback for any leafy green! Dandelions are, like nettles, amazingly good for your health. Add them to your diet and make a spring tonic. Make them part of your first spring Food! It’s best to Juice dandelions and drink the juice immediately to reap the best nutritional value from your dandelion greens. PICK FROM ORGANIC SOURCES ONLY! Bad chemicals do not make you healthy! All parts of the dandelion are safe to eat so you can use the whole thing. Leaves, Long long roots, flowers and all! The young leaves are tastiest, though we have juiced the entire plant. 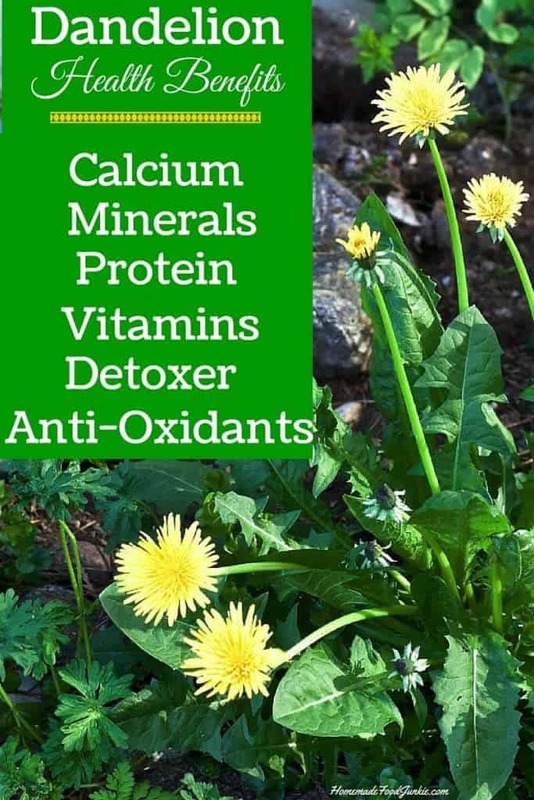 You can add dandelions into any green juice or smoothie recipe. A little fresh lemon helps all green juice flavors to blend well. Give it a try! Dandelions can be used in many spring recipes. Use them as you would any healthy greens in your diet. 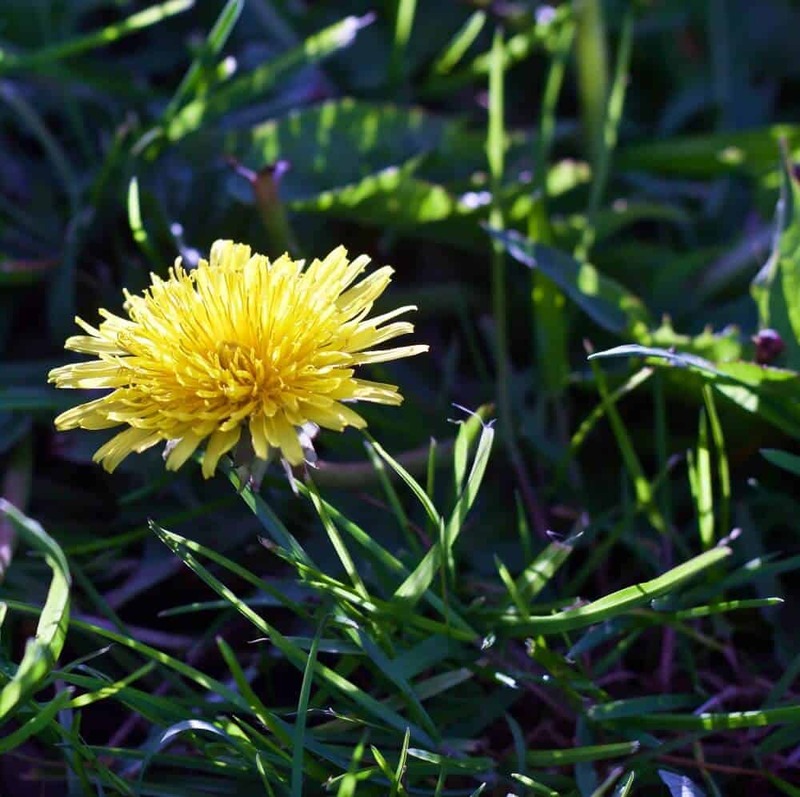 Dandelions can be made into juice, salads, stir fries, teas, syrups and wine! How would you use them? GO HERE FOR SPRING GREEN SMOOTHIE RECIPE: AWESOME WAY TO START YOUR DAY! Dandelions Benefit our health in many ways. Pick lush young greens for the best nutrients and flavor. We use dandelions as we would any other leafy green in the spring. Add nettles, blackberry or other edible bramble leaves and any other, safe to eat, foraged organic leafy green. We have juice recipes posted that are perfect for dandelion greens. Go look at this article on how we juice! It’s healthy and easy! Thank you to Incredible Smoothies where I found the nutritional information on dandelions! Stop by her site for even more detailed info on the nutrition of dandelions and her great smoothie recipes! I had no idea that Dandelions were “more than just a weed”! Thanks for the info! Your welcome Alisha. Thanks so much for stopping by to leave a comment. Spring time is the time go get those young fresh dandelion greens. I’m putting up a smoothie today that uses them. Spring Green Smoothie is good and so healthy. I hope you try it!